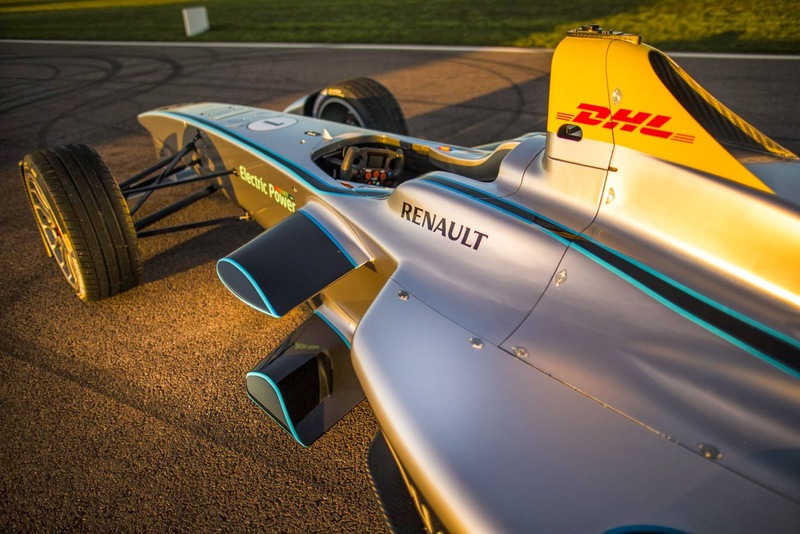 The Spark-Renault SRT_01E Formula E race car is so complicated that it has got an underscore in its name. The FIA has finally conducted the first track test for its strongly backed Formula E Series that is set to begin in 2014. The test was described as successful even though during this deployment step, the car was only using quarter of its maximum power which is the equivalent of 50KW (68 Hp). The Spark-Renault SRT_01E has got a Dallara-designed monocoque chassis and is powered by an electric motor producing 200 KW (270 hp) that was developped by McLaren. It promises a 0 to 100 Km/h (62 mph) time of 3 seconds and the top speed is limited to 225 Km/h (140 mph). 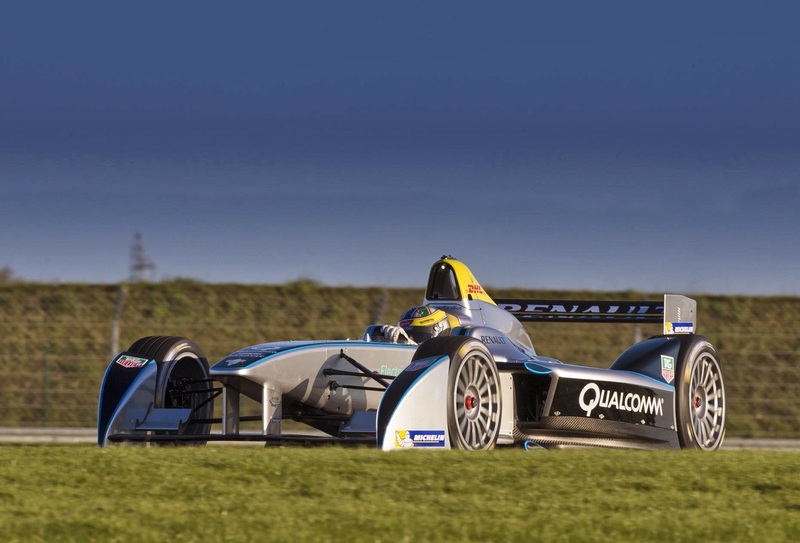 Test driver and Lucas Di Grassi wanted to reassure the drivers that the Formula E is very fun to drive even with quarter of its real power. Well sure it is since electric motors provide massive torque even at low speeds. But what about the noise absence problem? How is the FIA going to reassure the fans? 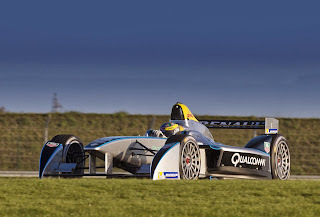 LA FERTÉ GAUCHER, FRANCE, (21 November, 2013) – Formula E's new fully-electric race car, the Spark-Renault SRT_01E, completed is successful test debut recently at the La Ferté Gaucher circuit near Choisy-le-Roi, France. Frédéric Vasseur, President of Spark Racing Technology, said: "Everything went very well and it was a very positive maiden run for the Spark-Renault SRT_01E. The car ran for around 40 laps with no issues straight out of the box, which looks good for the overall reliability. We were also running with a much smaller battery than we will use – just 25% of the full power - which again gives us confidence going forward. The next test is planned for the coming weeks where we want to increase the mileage on the car, working our way up to a full race simulation." 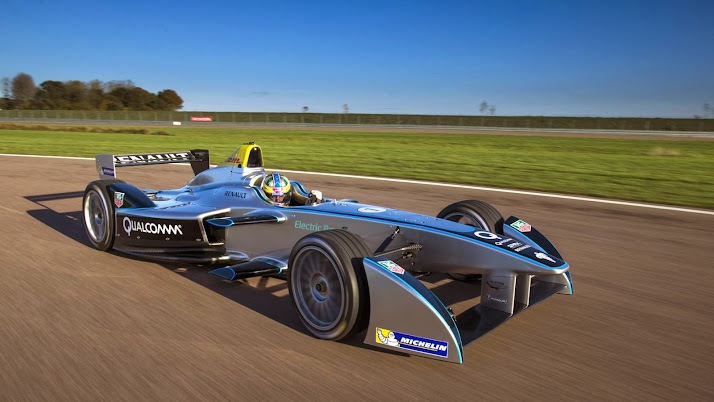 Alejandro Agag, CEO of Championship promoters Formula E Holdings, added: "The first test was a historic moment for the championship and we're delighted with how it has gone. We think teams, drivers and fans will love the way it looks and sounds. Now Frédéric and his team, together with Lucas, will begin to put mileage on the car, focusing on durability. It's a very exciting development and we can't wait for that first race in Beijing in September 2014 to see all 20 cars lined-up on the grid."